Hello baby! 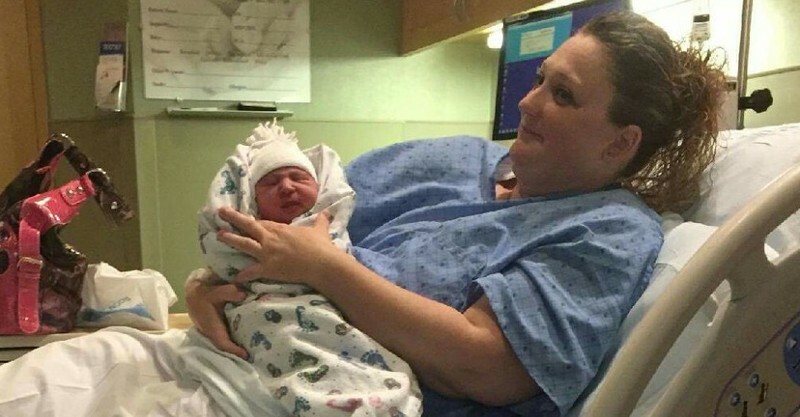 This woman didn't know she was pregnant - until she gave birth in the bath! Imagine leaving work with an upset stomach only to give birth in your bathtub with no prior knowledge you were pregnant. It may sound hard to believe, but it happened to Angie Hernandez. The US mum-of-three tells KSL she had no symptoms to indicate she was even expecting, let alone about to give birth. “My little girl that I had previous — she’s 20 months old — I felt every contraction, breathed through it…but this one, she was just out,” she says. Assuming she had eaten something that wasn’t agreeing with her, Angie says she left work on May 25 with stomach cramps. At home she had a bath to help with the pain but when she tried to get out of the bath to use the toilet she couldn’t. Then, as she sat back in the bath, she gave birth to a little girl. “I told my oldest son that was outside the door to call my boss and my husband and told him to get home right now,” she says. Her boss was the first to arrive, followed soon after by her husband before she and bub were taken to hospital, where they were checked over and discharged the next day. “The only thing that I think back now is a week before I had her, I had my period, and the cramps were like really really really bad. And that’s the only thing that I could think my body was trying to get me ready for, I don’t know,” Angie says. She says her family were equally shocked, with some thinking it was a prank or she was covering for an unplanned pregnancy between her 16-year-old son and a girl. Not knowing you are pregnant until in labour is certainly up there as far as huge surprises go. Another would be preparing throughout pregnancy for a girl only to give birth to a boy as was the case with Koto Nakamura, whose priceless surprise expression was captured by her birth photographer.